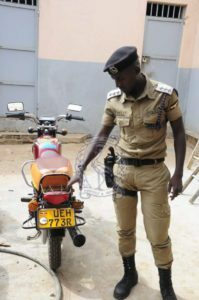 Police in Kampala have said they have in their custody a motorcyclist who knocked dead former Internal Security Organisation (ISO) director Teddy Seezi Cheeye last month. Police said the suspect identified as Roger Kirya, 32, was found hiding in Mbuya, Nakawa Division. 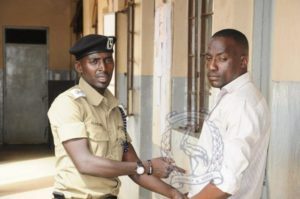 He is being detained at Jinja Road Police Station. The motorcycle said to have knocked the veteran journalist. Cheeye, the former head of economic monitoring in ISO, was knocked dead by a speeding boda boda as he took a walk in Nakawa, a Kampala suburb. 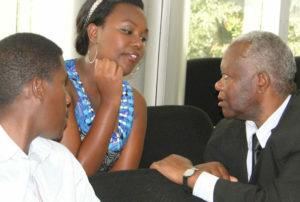 He was also publisher of Uganda Confidential, a news magazine. He was released in March last year after spending close to seven years in jail over corruption charges.